Home » Sport » How to train your dragon(s)? How to train your dragon(s)? Assistant Coach Shane Berkhout and Senior Coach Sandra Wooster about to train some dragons! 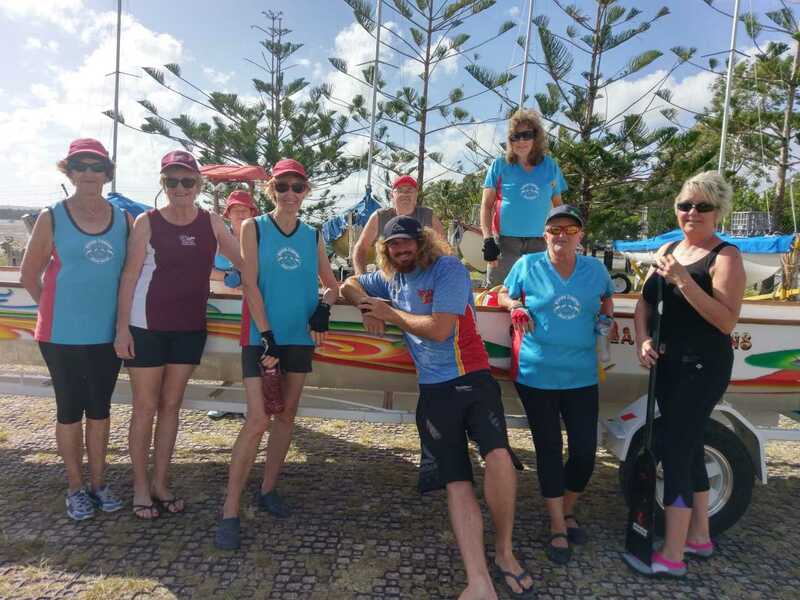 The Cooloola Dragon Boat Club Head Coach, Sandra Wooster, has returned after spending time with her family in Melbourne over the Christmas/New Year season. Our assistant coach, Shane Berkhout, has been maintaining our fitness levels in her absence, but Sandy is back and now the real work begins! State Titles will be held at Lake Kawana on March 23-24 and in preparation for this our training days will increase from two session to three sessions on the water per week. Locals will be seeing quite a lot of the Dragons training on the water in the coming weeks. Dates for our inter club regattas will be soon available, so training will be ongoing. We have enjoyed the company of a few new faces coming to try out our sport over the past few weeks. We hope they have had fun on the water and want join the club. The Cooloola Dragon Boat Club always welcome new members. Training sessions are Tuesday and Thursday 3.30pm for warm up and 4pm on the water, Sunday 7.30pm for warm up and 8pm on the water. For further information on the Cooloola Dragon Boat Club please contact Sandra Wooster 0402352756 or Sylvia Simpson Club President 0417707960.